Tonight, Danielle and I went down to the Agora to see The Black Mass Tour where Black Veil Brides, Falling in Reverse, Set It Off, and Drama Club all performed. As we expected, the line was wrapped around the building and standing in the cold when we arrived. 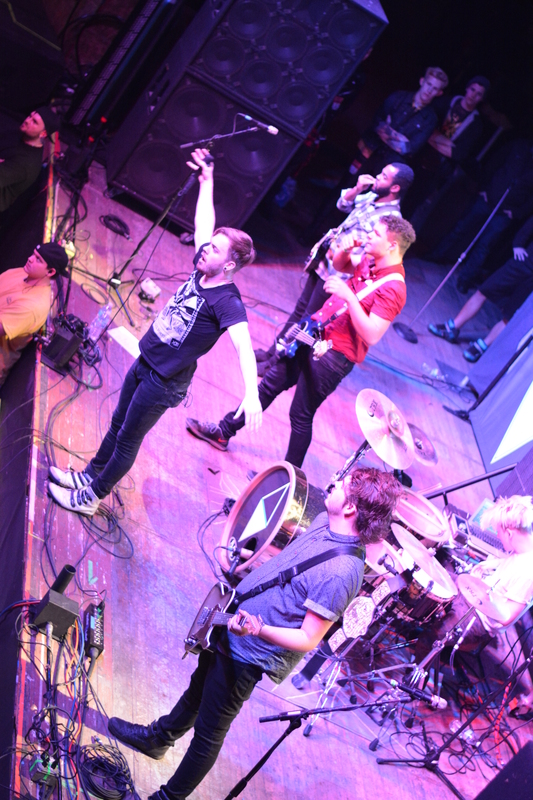 Soon after we walked in, Set It Off began playing their set and getting the crowd pumped up. 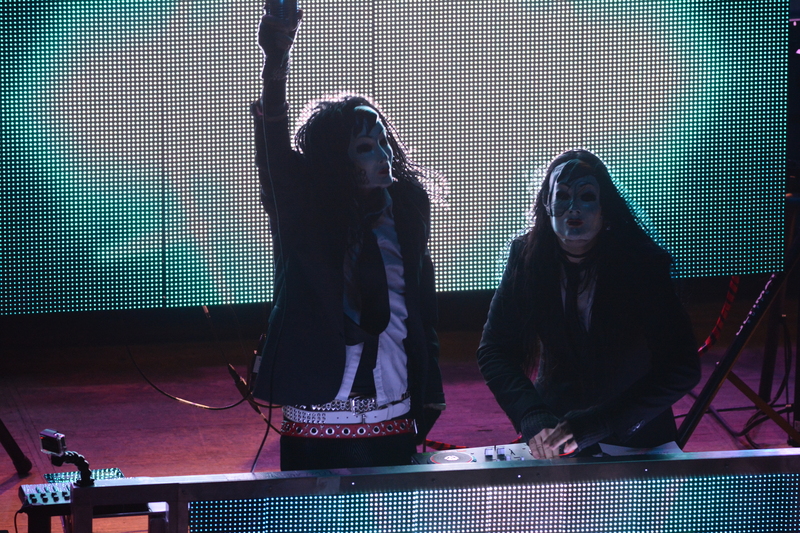 We’ve seen them in concert before and like always, their devoted fans went crazy. 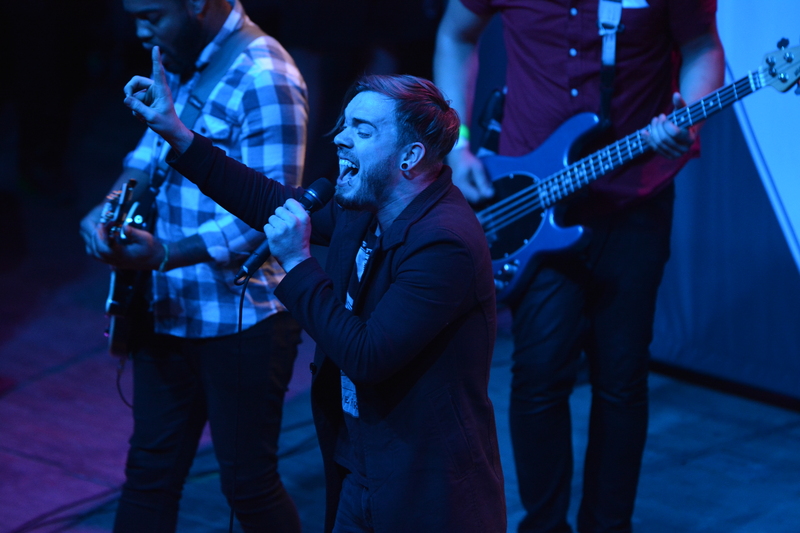 Of course, lead vocalist Cody Carson was climbing on the amps, leaning into the crowd, and singing passionately with fans. Up next was Drama Club. Initially, they seemed like they were just a simple way to waste time between sets. But after hearing their spin on some modern artists and reading up on their story, I came to appreciate their goals and purpose. I believe that Falling In Reverse was the highlight of the night. Their Cleveland show last year was unfortunately cancelled due to band illness. They’ve been long overdue for this Cleveland date and even though they made an appearance at the Alt Press Music Awards this summer, it just wasn’t the same performance. 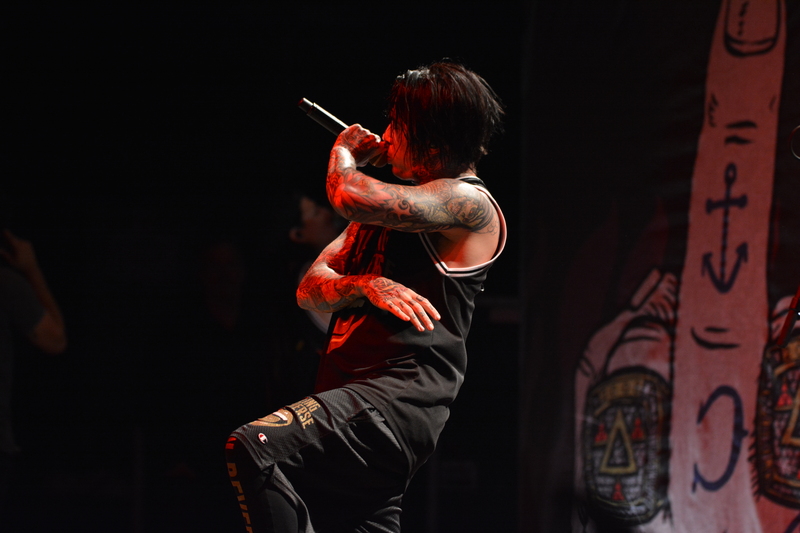 Ronnie Radke is a phenomenal vocalist and sounds amazing live. The band’s high energy never ceased and I was also impressed to find out that every member does backing vocals. 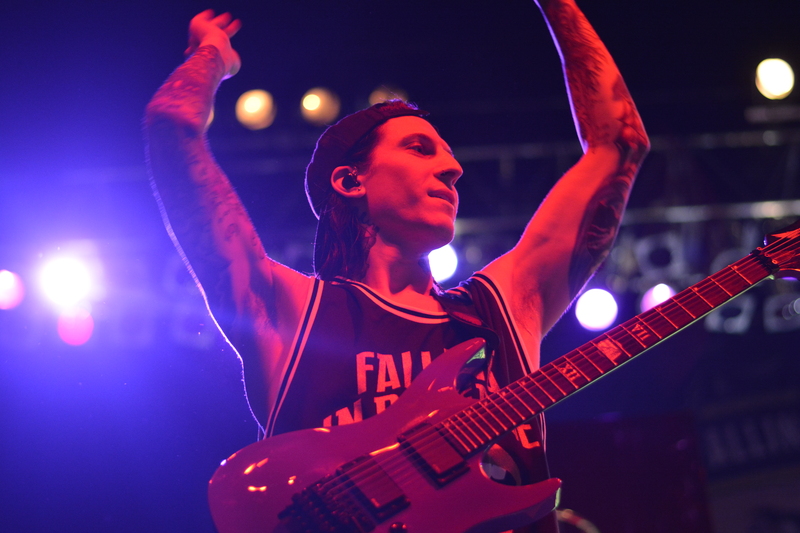 Falling In Reverse can often be a “touchy subject” because of Ronnie Radke and his controversial past but it was clear that what I saw of the crowd loved the band and their performance. Fans shouted the lyrics and danced madly in a colossal, sweaty mass. I love the honesty in Ronnie’s lyrics and that fact that he is witty and kind. I respect him because he has a self-assured attitude without being pompous. Surprisingly we found the next band, Black Veil Brides, to be the opposite. Firstly, there are certain things you should expect to see at a Black Veil Brides show; lots of black, lots of leather, and lots of skin. What I love about Black Veil Brides is that the whole show isn’t just about the lead singer. All of the members have their moments on the stage and work it evenly. 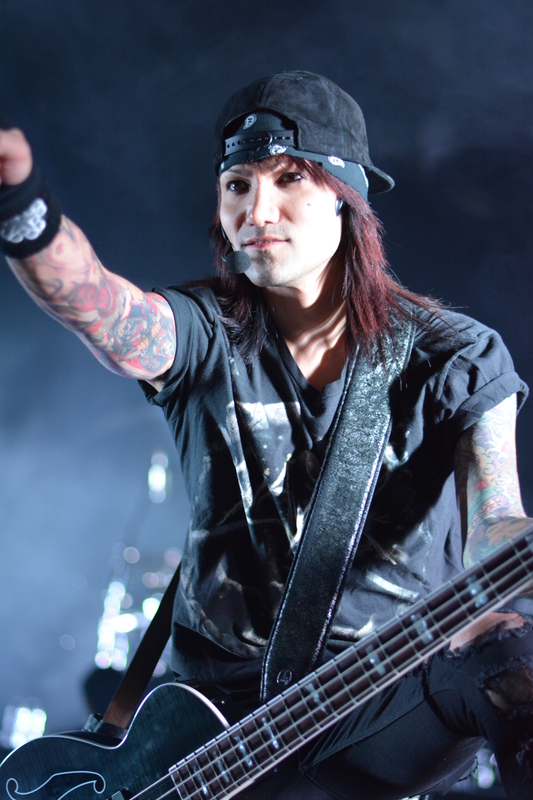 For example, Jinxx had a violin solo and CC had a fantastic drum solo. They are amazing musicians and put on an awesome rock show. Another thing I appreciate is the love they have for their fans. The band claims that Cleveland holds a special place in their heart because it was the first city that the band’s current lineup had first ever played. It happened back in the day at a late venue, Peabody’s. Overall, I was underwhelmed with tonight’s performance because it was far from what we anticipated. Danielle and I had a hard time comprehending the attitude onstage during the entirety of Black Veil Brides’ set. 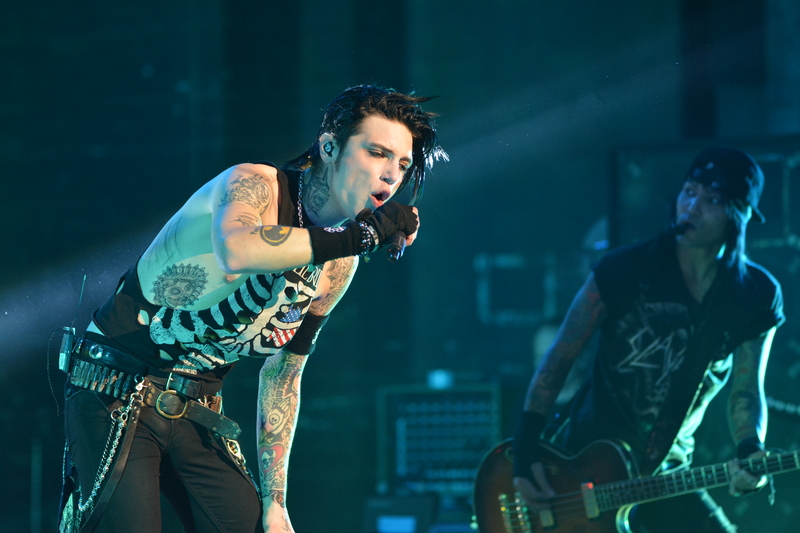 Lead vocalist, Andy Biersack (including other members) were extremely cocky and quite rude. Already having seen them once at the Alt Press Music Awards, we were not expecting what we witnessed tonight. Andy was chewing gum the whole show which I think is just a little odd. I know that some artists chew nicotine gum because they have a particularly long set but I don’t see them chomping away with open mouths like Andy was tonight. I cannot respect an artist that is ill-mannered and impolite. Another thing that Andy repeatedly did was mangle his mic stand. He threw it around, tossed it up, let it drop, etc. Not only would he do so but then would point it out to someone sidestage who came out in the middle of the set to pick it up for him again and again. Not once did he pick it up for himself. I completely lost it when he slammed the actual mic down onto the stage. In the end, I thought the actual performance wasn’t awful but Andy’s vocals needed to be quite a bit louder. Unless you knew their music by heart, it had to have been pretty hard to determine what they were singing and what song was what. Had his vocals been elevated, I think the band would have sounded amazing. Even though I was disappointed, I would recommend seeing the Black Mass Tour because I think that Falling In Reverse and Black Veil Brides put on a great show together. This entry was posted in Concert Reviews and tagged agora, Black Mass Tour, black veil brides, bvb, CLE, cleveland, cleveland agora, cleveland concert, Cleveland Music, concert, concert review, drama club, falling in reverse, FIR, Set It Off, SIO. Bookmark the permalink.